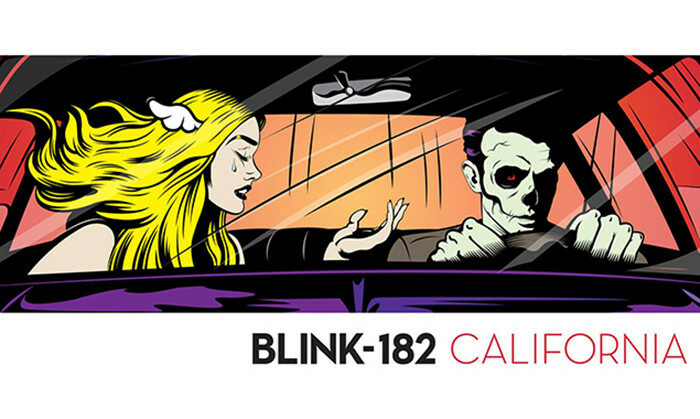 Blink-182 have revealed when the Extended Edition of 'California' will arrive! It's set for release on May 19, according to this tweet from vocalist / bassist Mark Hoppus. In a previous interview, Mark said that, "It’s more than a whole other record, it’s a double album at this point..."
"Some of the songs were songs that we did not put on the first album, but are great songs. And some are brand new that we just wrote last week, a lot of high-energy songs, punk rock, some more ballad-y songs, a little more electronic experimentation, it’s a good mix. It’s not a collection of throwaway songs, it’s like a whole other album." "It’s kind of like a mind f--- because it should almost be a new album," added drummer Travis Barker. "But it just goes to show how natural and organic things are happening and how fun this process has been because it’s not hard to go write great songs and make fun music that we love creating and listening to. And the results are great. The deluxe album will be neck-and-neck with California. It’s in no way fillers." Travis went on to say that: "There are like four songs that didn’t make the album that we’re putting on there. But then there are brand-new songs like 'Wildfire' and 'Parking Lot' and 'Misery' that are all so f---ing strong, man. It’s amazing. We started writing maybe a week and a half ago and I think we have 14 songs. It’s a good problem to have. I’m really excited about this deluxe edition. It’s gonna be incredible."